Celebrate with the Indiana wineries as they offer samples of more than 200 award-winning wines. These items will be confiscated at the gate or if found on the grounds. Any busy parents knows getting a meal on the table before your kids break out into the “I’m starving” chant! You can get dinner on the table before the kids think they are starving. Quick and easy recipes from the Indiana’s Dairy Farmers and Indiana’s Turkey Producers will make you look like a champion. The New Hoosier Wine Trail will talk about their favorite wines with this great meal. When it gets too hot, no one wants to spend lots of time in the kitchen. These recipes featuring dairy and turkey will have you out of the kitchen and enjoying summer in no time. 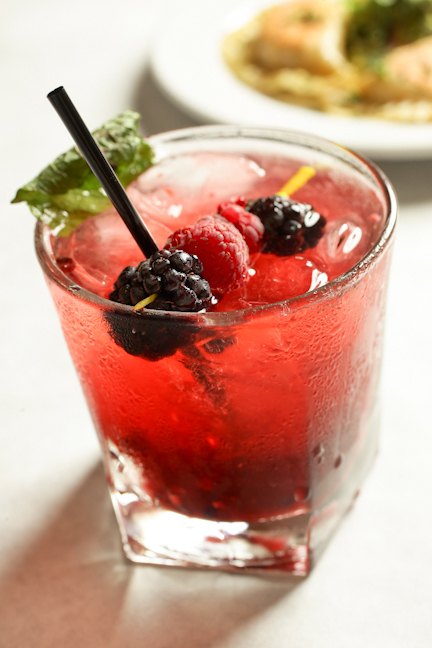 The Indy Wine Trail will entertain your palate during this hour. Father’s Day is just a few weeks away and it’s time to spoil the Dad’s in our lives with great food and drink! Indiana’s Dairy Farmers show you how to add cheese to your potatoes while Indiana’s Turkey Farmers whip up a dish your Dad will love! The Indiana Wine Trail will be on hand to guide you in wine Dad will love! 2:30 p.m. ~ 4:30 p.m.
Vintage Indiana is presented by the Indiana Wine Grape Council, headquartered on the Purdue University campus in West Lafayette. Sponsors: WFMS & WJJK Radio,Indiana's Family of Farmers, NUVO Newsweekly, Indiana Turkey, WISH-TV, the American Dairy Association of Indiana, WNDY-TV, Clark Appliance, Indiana State Poultry Association, and Marsh Supermarkets. For additional information, tickets, and directions, visit VintageIndiana.com, or call 1.800.832.WINE. The final press conference has finished with three-time Indianapolis 500 champion, Dario Franchitti, and now the media people are scurrying about finishing their work before hopping a plane, jumping in their car or heading back to their hotel. Photographers, writers and other various media entities are tired, but happy with this year's ending. After the devastating blow to the racing world's family and fans alike with the death of the immensely popular Dan Wheldon, there seemed to be a bit of a cloud over this year's race. Who would be the first to receive the honored Borg-Warner Trophy after Wheldon's amazing last minute win in 2011? As a friend of Wheldon, Franchitti's win made the hollow feeling a little less hollow, the black cloud a little less dark. As if it were the only path that would provide the healing needed for the tragedy's insiders and onlookers. I understood the immensely tight group of the racing world a little more this year. With last year being my first ever time to attend the "Greatest Spectacle in Racing," I was just lucky to remember where to park, when to cover my ears and how to find the conference room. This time I was able to navigate the media room better, had learned to arrive at the press conference before it was announced and spent more time actually watching the race. More time was spent watching and understanding the interpersonal relationships between owners and their drivers, fans and the Indianapolis Motor Speedway staff, and the media with each other which gave better insight to the loyalty, respect and caring that goes on behind the scenes and runs like a river of life cleansing the old pain, washing away the anger and moving everyone forward in their lives. I hope to be fortunate enough to attend in 2013. Before that happens I have vowed to research more of the history, facts and figures of the Speedway, drivers and the race itself. Covering many fields of interest with Gotta Go, it isn't possible to be an expert in every area. This has been a journey of learning for me, and hopefully for you also, as I have been willing to look the fool by asking the questions no one wants to out of fear of looking foolish. In return for being allowed to travel to wonderful places, meet marvelous people and try wondrous new experiences, I am willing and then report back my findings to you. However, I have been remiss, I believe, when it comes to my hometown's pride and joy -- The Indianapolis 500. Perhaps because I grew up listening to it on the radio, or because I always felt I could "get around to it" I never truly paid attention to it all that much. Embarrassing, but true.More time was spent learning about other places, other events, other people, instead of what was in my own backyard. I make a vow to myself, to you and to the race today. To research and learn so that I might teach others who are too shy to admit they also know too little about it. It is far too easy to overlook that which is directly in front of us while looking at something farther away. I apologize from my heart for taking far too long to understand what I did today. Bottom Line: I have found a deep respect for what the Indianapolis 500 means as financial support through many jobs, as a lifelong passion of fans worldwide and pride in the history and heritage of what truly is "The Greatest Spectacle in Racing." 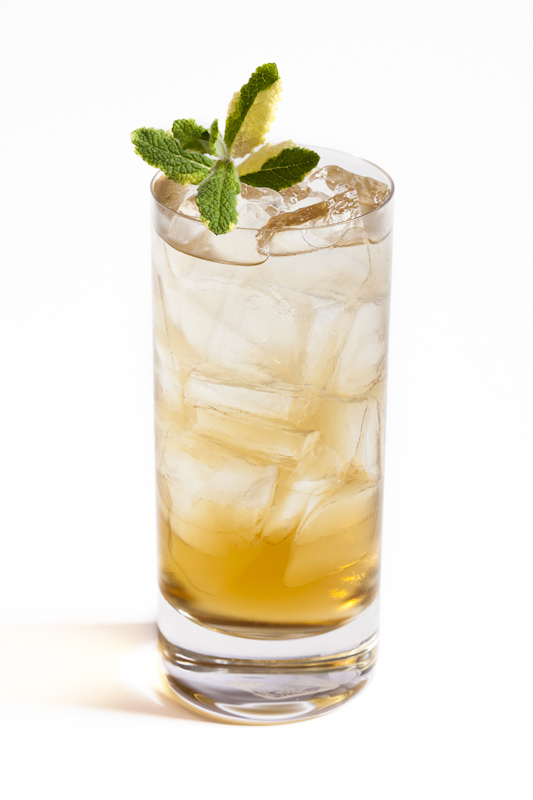 Although the Infused Top 10 Indianapolis 500-inspired Cocktails List was published a couple of weeks ago, (click here to read and drool) these recipes have been submitted to me by Fuzzy Zoeller's Ultimate Premium Vodka, the official vodka for the IZOD IndyCar Series. 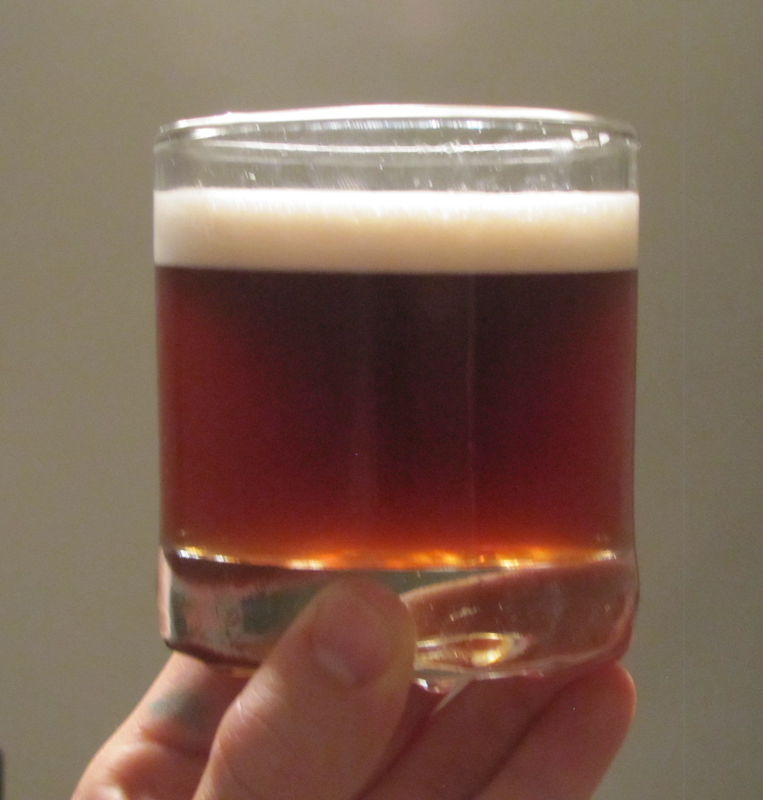 The folks here at Infused thought these deserve a mention as well, particularly as they include the high-quality mixer from Indiana's cocktail mix goddess Hoosier Momma. At Fuzzy's Happy Hour for the media in Indianapolis Motor Speedway's Pagoda's 5th floor plush club, some of these tasty drinks were available for tasting. Fuzzy’s Checkered Flag Lemonade and Fuzzy’s Start Your Engines Hoosier Mary won top spots and are part of the collection of recipes below. Shake, stir or pour, whatever your preference, and let me know which is your favorite. Splash of Sprite/Sierra Mist on top. Elizabeth J. Musgrave is a syndicated columnist, travel writer, performing arts and restaurant critic. Catch her new column, Infused, at FoodandDrinkDigital.com and as Indy’s Entertainment Adviser on 93 WIBC. Follow her on Twitter @GottaGo, LinkedIn and Facebook. Gotta Go is published on GottaGo.us, BroadwayWorld.com, in M magazine and the following newspapers: South Sider Voice, Indiana Weekender, New Palestine Reporter, Pendleton Times Reporter and Fortville-McCordsville Reporter. Rolling in to Indianapolis is one of the culinary world's royalty. The rock god of food, Guy Fieri is completely out of bounds, off the charts and always ready to grab some insanely delicious gastro delight. Known best through his Food Network program, Diners, Drive ins and Dives, Fieri arrived, signature sunglasses firmly in place, to be the newest inductee of the elite club in which members have all driven one very special vehicle. At a press conference, held today (May 26, 2012) at Indianapolis Motor Speedway, Guy Fieri expressed his elation at being selected to drive the Pace Car for the 96th running of the Indianapolis 500. The Chevy Corvette ZR1 will be driven for four laps around the 2 1/2 mile oval track to begin the race, known the world over as "The Greatest Spectacle in Racing." Below is a small part of the Q&A session with the personable host of the popular television that covers everyday eateries across the nation. MODERATOR: Guy, you showed up here yesterday morning, we treated you like a race car driver. The first thing you got to do was give a physical at the Indianapolis Motor Speedway. How was that first impression here? GUY FIERI: I didn't go through all the physical that the guys go through. They said they have to strip all the way down, I'm like: "Wow, that's great. I'm glad we're passing that piece." It was great, though. Everybody has been so friendly. I understand why this is such a popular race, not just by the fans and the media, but by the drivers. Everybody is so hospitable. Indianapolis just rolls out the red carpet. I've been texting my friends and emailing and tweeting and everybody. They're like, "What's it like?" And I said you just can't get it. From television, it just gives you like one-tenth of what the experience is, and if you haven't been to a race, then you are missing it. This is a lifetime event to come to. Someone asked if it was on my bucket list to be a pace car driver, I said, "Listen, it was on my bucket list to make it to the race." So I don't even know what level of bucket this would be to be the Pace Car driver. I was nervous, I'll be very honest. I mean, it was a nerve-wracking two weeks or three weeks that I have been really thinking about it. Because I thought you just drove around and waved. The car doesn't look like it's going that fast on TV. Then I talked to a few of my buddies and they said, "No, no, it goes." But I got great training and it's been awesome. MODERATOR: Have you had a chance to sample any food while you've been here? Anything that when you think Indianapolis you think about in terms of food? FIERI: Well, you know, when we shot here -- and this is kind of my theory on places like Indianapolis. When you find an area that has a chance to get real cold, and we were here for the Super Bowl with no snow, which was crazy, but people spend time indoors when you get an area that has a lot of history. So when you start compiling those kinds of pieces and being in the Midwest and start adding it up, you really start to find some real culture in food; and not just like Midwestern culture like a steak-and-potatoes place. We went to St. Elmo's last night, which was really good. Had a great dry-aged steak, 28-day dried steak. If you haven't had that, by the way, dry aging is the way to roll. The culinary tips will now start coming out. But it's been great. We've had a really nice experience. Everybody is so genuine and so cool. Like when we came for the Super Bowl this year, although it was just pandemonium, it was just a really nice environment and a lot of real friendly people. I'm always encouraging people to come here and try out the DDD joints. 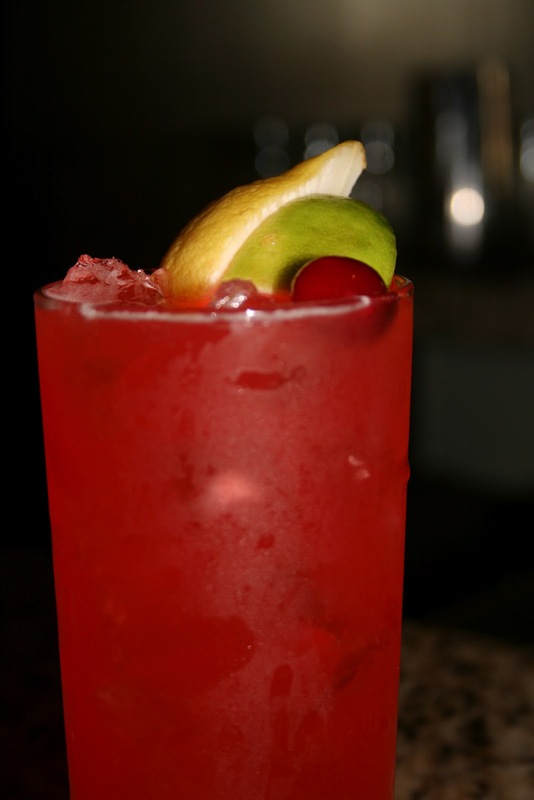 MUSGRAVE-Q: Did you get to try the shrimp cocktail at St. Elmo's? FIERI-A: I'm sorry, did I try it three times did you say? (Laughter) Have I completely cleansed my sinuses from 400 pounds of horseradish? MUSGRAVE-Q: Did you get to try 1933? FIERI-A: I did not get to try 1933. I was there with my buddy, Brandon Bernstein, who is a Top Fuel dragster and drag racer. It's his favorite place. So every time I come to town, Brandon says, "We've got to go to St. Elmo's." So we enjoyed it so much, we're going back tonight, so we'll be there for round two. MODERATOR: So Johnny Rutherford, three-time Indianapolis 500 winner, gives you some training. Two questions: What did he have to say to you? And then we were waiting for you to come in Pit Lane. Photographers wanted to get a picture of the exchange. Next thing we know, somewhere on the track where we couldn't see you, you must have convinced him to let you drive because you came by with your hook and horns out the window. FIERI: It happened a couple times. So JR and I -- and what a great guy. Talk about a legend of legends. And he's so in it and understands it and gets it. I was joking yesterday, saying, "Just let him take and run that car with everybody." I would just love to see he could run that ZR1. We came out of the pits at about 80 and came into that little side track there, and we were flying. I'm stuck to the side of the window not knowing if I was going to make the first turn. It was just a really cool experience. We talked about the track. We talked about the lines. We talked about when to get in it, when to get out of it, just all of these key things. It was like driving school 101 times a thousand. He just took the time with me and explained things. And I've always been a car freak, so I understood a lot of the components. But then what happened is we were driving around, he says, "OK, now you do it." That was quick. So we go through it, I drive. And he kind of, he says: "Really good. I like that." And he says: "All right, now you're done. Get out." So we stop in the middle of the track and he says, "Now let me show you." So he gave me like a little beginning driving lesson. I drove, then he gets in it. That's when we took Turn 4 at 125, 130 miles an hour in a street car; a ZR1 but a street car. I'm like, "We're never going to survive this corner." Came right out of it. He looked at me and said, "That's how you do it." Amen. FIERI: Empty? Were you here yesterday for Carb Day? MODERATOR: Wait until you're here tomorrow, I guess is my point. So you're going to go into Turn 1, and have they explained to you this place that's so big is going to feel small and intimate? FIERI: It was a cross between Disneyland and a Rolling Stones concert yesterday. I mean, everything from kids to rockers yesterday. It was out of bounds. So many people. As we were driving around, my team from Chevy, who has been super-awesome about this whole experience, as they're were driving giving me like some real culture, went to the Museum and did all those pieces, and went to the basement of the Museum, by the way, it was just, oh, man. We got to see it with the lights on, which is I guess is not how it normally goes. But they said, "Oh, yeah, this knoll and this golf course and that area and this thing and that tree people will be in." I'm like, "Get out." They said it's going to be just packed, over 300,000 fans. And, listen, if it's already not nerve-wracking enough, I've got the greatest race car drivers in the world behind me. I'm driving the Chevy car, doing four laps, maybe five or six or 12, depends on how I feel. (Laughter) This might be the longest Pace Car driving that you've ever seen. I was thrown off the track today. They said to me: "You're done. Johnny gave you the gold star, you're finished." I said: "No, I don't feel comfortable. I want to do more." They're like, "We're not buying it; you're off." But I heard it's just crazy. I heard the colors in the stands and how it's just filled up and all the people and all the flashes, I can't wait. I'm really excited. Elizabeth J. Musgrave is a syndicated columnist, travel writer, performing arts and restaurant critic. Catch her new column, Infused, on FoodandDrinkDigital.com and as Indy’s Entertainment Adviser on 93 WIBC, and follow her on Twitter @GottaGo and Facebook. Gotta Go is published on www.BroadwayWorld.com and in M magazine and the following newspapers: South Sider Voice, Indiana Weekender, New Palestine Reporter, Pendleton Times Reporter and Fortville-McCordsville Reporter. Having reviewed books for quite awhile now, I have been privileged to read some rather great ones. Every once in awhile, however, one crosses my desk that makes me think: “Man, I wish I had written that one.” Valerie Lum and Jenise Addison’s Ice Cream Happy Hour is one of those books. 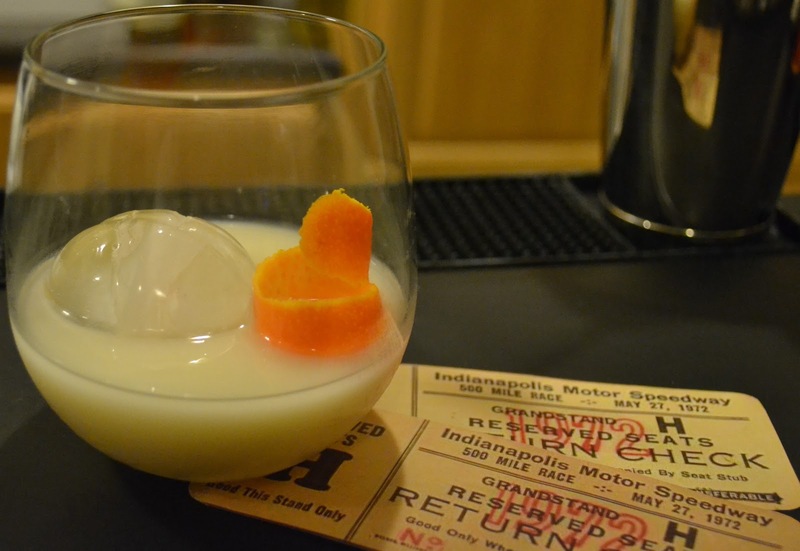 Bearing the subtitle “50 Boozy Treats You Spike, Freeze and Serve,” no cocktail napkin is left unturned: the Chocolate Martini, Pina Colada and even Sangria receive the frozen treatment. 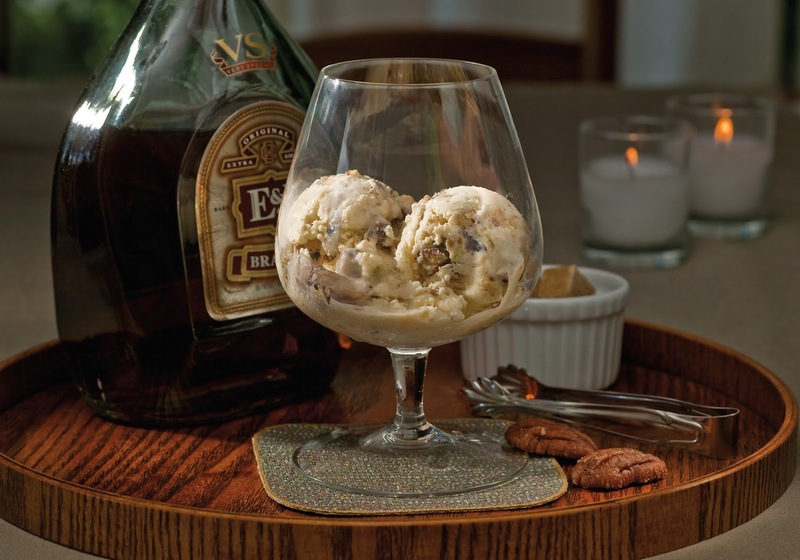 Butter Pecan with Brandy brings an American favorite to the adult beverage level, while Jasmine Tea with Sake prepares the palate for an Asian delight. 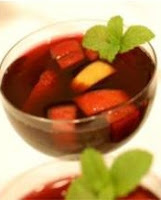 Wine, beer and spirits all are invited to the kitchen to meet up with traditional ice cream, sherbet and sorbet dishes. Recipes from beginner to advance with step by step instructions give everyone the Dutch courage to test the over-21 concoctions in their very own kitchen. Irish Coffee, Whiskey Sour and Mojito are covered, as are Cape Cod, Mimosa and Cosmopolitan. The list is impressive and thorough. 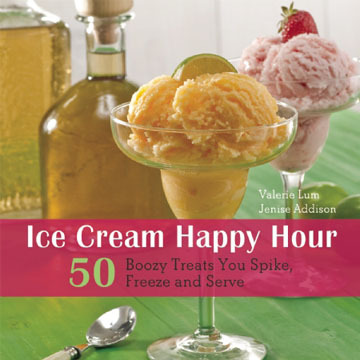 After reading this 80-proof recipe book, I may never look at a banana split or turtle sundae the same way again. Instructions and conversions are provided, along with fabulous images. My suggestion is to purchase two, one for yourself and one to replace it when your guests steal your original copy. The book is outright simplistic brilliance. So obvious is the combination of ice cream and liquor, so beautiful the resulting colors, and such honeymoon-bliss the flavors – I kick myself for not thinking of it before these two culinary artists who met while working at Bierkraft in Brooklyn. Bottom Line: A word of warning to ice cream freezer retailers: Prepare for inventory issues. 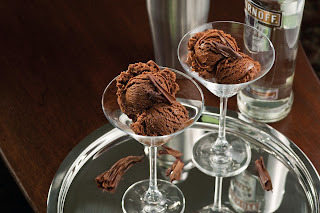 Ice Cream Happy Hour tweaks frozen comfort food and creates original combinations for a grown up ice cream parlor delight giving adults a whole new reason to purchase the long forgotten ice cream freezer. Elizabeth J. Musgrave is a syndicated columnist, travel writer, performing arts and restaurant critic. Catch her new column, Infused, at and FoodandDrinkDigital.com, as Indy’s Entertainment Adviser on 93 WIBC. Follow her on Twitter @GottaGo, LinkedIn and Facebook. Gotta Go is published on BroadwayWorld.com, in M magazine and the following newspapers: South Sider Voice, Indiana Weekender, New Palestine Reporter, Pendleton Times Reporter and Fortville-McCordsville Reporter. Grilling is one of America's favorite pastimes, and what's not to love? The mood is relaxed, the weather is perfect, and men take over cooking. And by cooking I mean experimenting and showing off their insane creative abilities. Nothing is too far out or off limits when the grill becomes center stage. 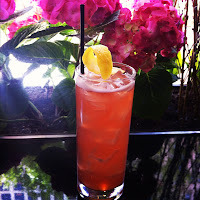 Ribs are slathered in secret sauces, special lemonade is poured into old, glass canning jars and watermelon is sliced. What makes men come alive for this open air eat fest? Studies may hint that it is from the forefathers, getting to play with fire and the hunter within each of the male persuasion. Whatever the reason, I sit back, relax while sipping on an adult beverage and allow them to share, show off and shine in their passion. Do you call it "grilling," "barbecuing" or "cooking out" when lighting up the grill? And, is gas or charcoal better? What are your favorite recipes, and what makes yours better than everyone else? Is it the sauce, the style of cooking or perhaps the cut of meat? Whatever makes your food taste that much better is what I would like to hear about. Growing up, no outdoor meal was complete without my mother's potato salad. Made with a few sprigs of dandelion greens, I still hanker for it whenever the weather becomes kind, freshly cut grass scents the air and stores display the latest in man aprons. Below are a few links to festivals devoted to the culinary tradition and related events. If you know of others, please let me know and I will add it to the list. Until then, enjoy outdoor dining! Elizabeth J. Musgrave is a syndicated columnist, travel writer, performing arts and restaurant critic. Catch her new column, Infused, at FoodandDrinkDigital.com, as Indy’s Entertainment Adviser on 93 WIBC, and follow her on Twitter @GottaGo and Facebook. Gotta Go is published on BroadwayWorld.com and in M magazine and the following newspapers: South Sider Voice, Indiana Weekender, New Palestine Reporter, Pendleton Times Reporter and Fortville-McCordsville Reporter. For the Top 10 List of Indianapolis 500 Inspired Cocktails, click here. INDIANAPOLIS – The Indiana State Fair will hold four concerts at Bankers Life Fieldhouse over the course of its 17-day run Aug. 3 – 19. Barry Manilow – Aug. 3 at 7:30 p.m. 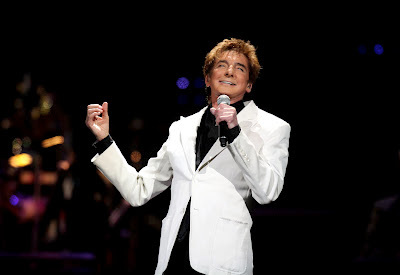 Train – Aug. 4 at 7 p.m. 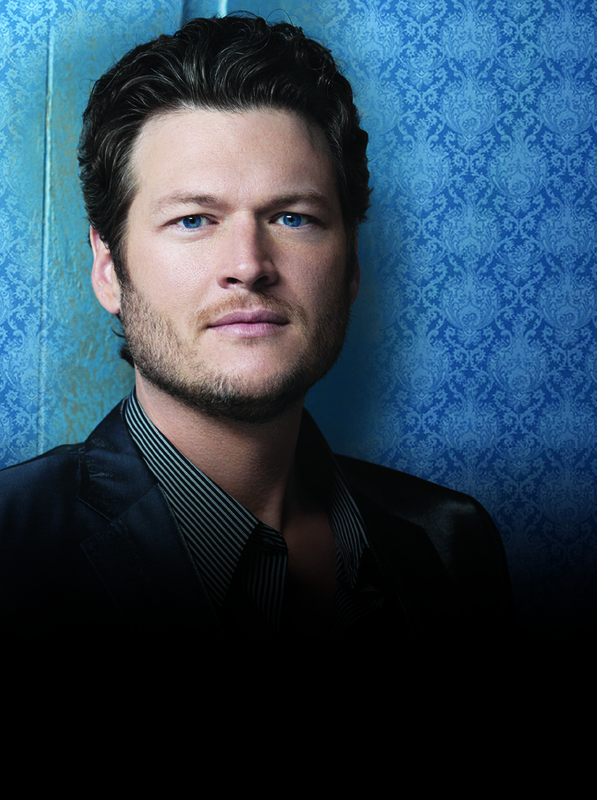 Journey with Pat Benatar and Loverboy – Aug. 8 at 7 p.m.
Blake Shelton – Aug. 17 at 7 p.m.
Tickets for all these shows include a ticket to the State Fair good on any day of the fair, not just the day of the concert. 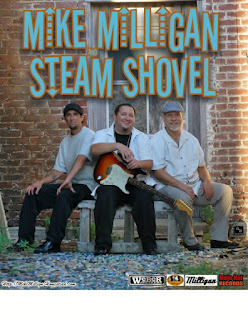 Tickets: Purchase at the State Fair box office, Ticketmaster locations, at 1-800-745-3000 or at Ticketmaster.com. In addition, the state fair will present the Indiana Fever vs. Atlanta Dream game on Aug. 18. Any group that purchases 15 or more tickets to the game will receive the same number of tickets to the fair, also good on any day of the fair. These tickets can be purchased at the State Fair grounds box office, through Ticketmaster or at Bankers Life Fieldhouse. 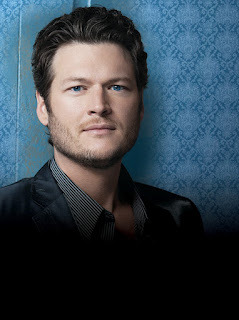 For details, contact the Indiana State Fair grounds Box Office at (317) 927-7601 or visit IndianaStateFair.com. The 2012 fair is the “Year of Dairy Cows,” showcasing Indiana Dairy farmers. The Indiana State Fair is the state’s largest multi-day event celebrating Hoosiers’ spirit and agricultural heritage. Nationally recognized for offering great entertainment, showcasing youth, interactive agriculture education programs, premiere facilities and a variety of unique, fun foods, the Indiana State Fair has been an annual tradition for generations of Hoosiers since 1852. INDIANAPOLIS, Saturday, May 19, 2012 - Howie Mandel, judge on "America's Got Talent," the top-rated summer reality competition series on NBC, will serve as honorary announcer for the 96th Indianapolis 500 Mile Race on Sunday, May 27. On Race Day, Mandel will give the famous command, "All cars to the grid!" to start the countdown to the green flag. His signature humor will put a distinctive spin on a time-honored tradition executed for decades by the legendary "voice of the Speedway," Tom Carnegie. "I'm very honored to be chosen to call the cars to the grid at this year's Indy 500 ... for the 10th time, this being the first time I've actually gotten to do it on site," Mandel said. "The fans, teams and drivers will be waiting for me to give the command. It'll be an experience of a lifetime that I'll never forget." Said Jeff Belskus, president and CEO of the Indianapolis Motor Speedway Corporation: "This year is the start of the next 100 years for the most important race in motorsports. We're entering this new era with a reinvigorated sport that is intent on evolving with the times. Howie Mandel will bring a unique entertainment value to the race that elevates its profile in a non-traditional arena before potential new fans." For more information, tickets, and directions, click here. INDIANAPOLIS, Friday, May 18, 2012 - The Indianapolis Motor Speedway will pay homage to the men and women of the United States military during Armed Forces Day on Sunday, May 20, which also is the final day of qualifying for the 96th Indianapolis 500. "The Greatest Spectacle in Racing" has paid tribute to the troops since its inception in 1911. Activities on Sunday will begin when the gates open at 7:30 a.m., as all active members of the military will be admitted free who are in uniform or show their military I.D. at the gate. Wish For Our Heroes (W4OH), the Indianapolis Motor Speedway and Indiana National Guard have teamed up this year to provide fans with an opportunity to help send active United States military or veterans to the Indianapolis 500, Super Weekend at the Brickyard or Red Bull Indianapolis GP in 2012. Wish For Our Heroes, a national, non-profit organization based in Noblesville, Ind., will coordinate purchase and delivery of all tickets to service members and veterans. 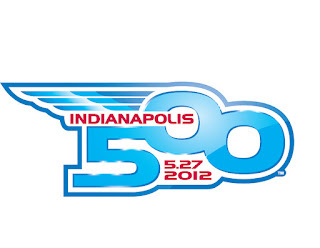 A special W4OH ticket giveaway for active duty soldiers for the 2012 Indianapolis 500 will take place on Armed Forces Day at 3 p.m. on the Coca-Cola Stage in the Pagoda Plaza. The tickets will be presented by Melissa Jarboe, who was engaged to her husband, Jamie, on Feb. 13, 2010 at the IMS Hall of Fame Museum and were married that same day. A Frankfort (Ind.) Senior High School graduate in 2003, Sgt. Jamie Jarboe was deployed overseas later that month. A huge fan of the Indianapolis 500, Jarboe was shot by a sniper April 10, 2011, while serving in Operation Enduring Freedom in Kandahar, Afghanistan, and died March 21, 2012, at age 27. Since that day, Melissa has maintained her husband's Indianapolis 500 room at their home in Topeka, Kan., and she has amassed 18,000 Facebook followers who monitor her as she continues to express her feelings about her loss, helping many other family members of fallen soldiers. Jarboe and her daughters, Celestial and Alexa, will attend the 96th Indianapolis 500 on Sunday, May 27 as guests of Wish For Our Heroes. The Wish For Our Heroes Fund program gives fans three ways to salute American service members through contributions or donations at www.indianapolismotorspeedway.com/wish4ourheroes or www.wish4ourheroes.org. •Enlistment ceremony: At 11:15 a.m., an Armed Forces Enlistment Ceremony led by Indiana Senator Richard Lugar will take place for new members entering all branches of the U.S. military. The event will take place at the base of the Pagoda on the Yard of Bricks. Melissa Jarboe also will appear at the Enlistment Ceremony. •Military vehicle display: An extraordinary collection of military vehicles and equipment will be showcased on the Pagoda Plaza, and on Turns 7 and 9 of the IMS Moto GP course located just north of the IMS Hall of Fame Museum when the gates open at 7:30 a.m.
Aerial exhibits will include a UH-60 Black Hawk four-bladed, twin-engine, medium-lift utility helicopter that first entered service in 1979. Also on display will be a Bell OH-58 Kiowa single-engine, single-rotor helicopter used for observation, utility and direct fire support. Ground displays will include a M777 Howitzer, which is a 155mm caliber, artillery piece, that's combined with a new GPS-guided munition that allows accurate fire for up to 25 miles. Vehicles on display will include a Heavy Expanded Mobility Tactical Truck, a High Mobility Multipurpose Wheeled Vehicle (Hummer) and an M1083 Military Truck. Also on hand will be an M1088 Medium Tactical On and Off Road Vehicle, a 40-Ton Transporter Trailer, a Palletized Load System, an M577 Command Post, an Armed Security Vehicle and an RG33 Mine-Resistant Ambush Protected Vehicle. The horses, caisson and limber of the Indiana National Guard Ceremonial Unit will also be on display during Armed Forces Day. Used during official funerals, the Indiana National Guard has the only caisson unit in the nation aside from the "Old Guard," which is famous for guarding the Tomb of the Unknown Soldier at Arlington National Cemetery. •Fans encouraged to thank military members via Twitter: As a way to salute our active military throughout the day, IMS has encouraged fans to provide Twitter handles of friends or family currently serving in the military to the IMS Facebook page, www.facebook.com/IndianapolisMotorSpeedway. IMS then will put some of those handles on the large screen video boards on the track Sunday, May 20 and encourage fans at the track to tweet to those military members with a "thank you" message including the hashtag #500salutes. "The Indianapolis Motor Speedway has always made celebrating and honoring our troops a priority at all our events, but especially the Indianapolis 500," said Indianapolis Motor Speedway Corporation President and CEO Jeff Belskus. "In this day of instant communication, we wanted to encourage our fans to pass along their thanks to those troops stationed all over the globe for the sacrifices they make every day for this country." Admission for Armed Forces Day at IMS on Sunday, May 20 is $15, with children 12 and under free. Children 12 and under will receive free general admission to any IMS event in 2012 when accompanied by an adult general admission ticket holder. Tickets for groups of 20 or more also are on sale. Contact the IMS Group Sales Department at (866) 221-8775 for more information.Elizabeth J. Musgrave is a syndicated columnist, travel writer, performing arts and restaurant critic. Catch her as Indy’s Entertainment Adviser on 93 WIBC, and follow her on Twitter @GottaGo and Facebook. Gotta Go is published on www.BroadwayWorld.com and in M magazine and the following newspapers: South Sider Voice, Indiana Weekender, New Palestine Reporter, Pendleton Times Reporter and Fortville-McCordsville Reporter. Singer/actress/author Olivia Newton-John has been named Grand Marshal of the 2012 IPL 500 Festival Parade. 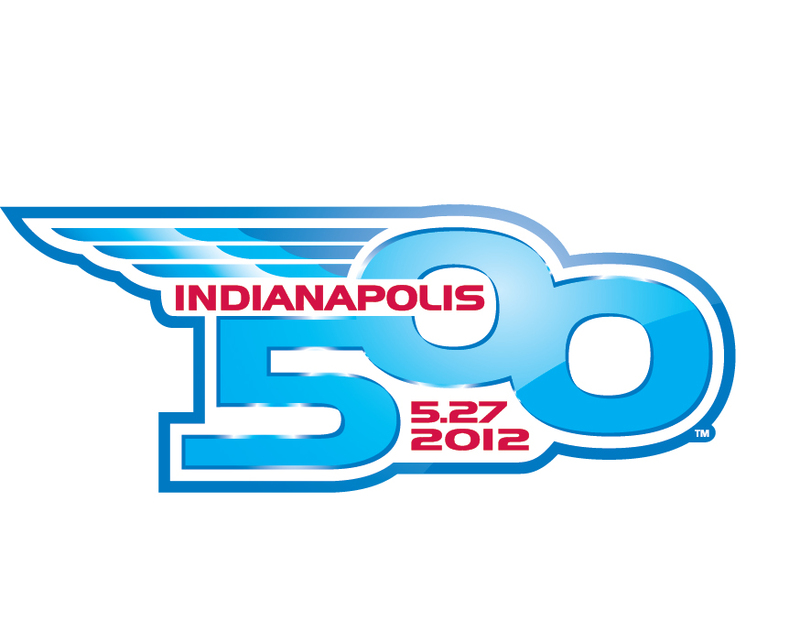 The 55th IPL 500 Festival Parade is Saturday, May 26 and will celebrate the 2012 500 Festival theme: "A New REVolution." In addition to being the Grand Marshal for the Parade, Newton-John will also be an honorary guest at the Regions 500 Festival Snakepit Ball. In addition, Newton-John will give the command to start engines for the Firestone Indy Lights Freedom 100 race on Friday, May 25. Newton-John will have more than just passing interest in the race as her nephew Emerson Newton-John will be making his debut as a driver in the series. She will also be on hand for the running of the 96th Indianapolis 500 and will participate in the annual red carpet walk at the track. “I am so excited to be the Grand Marshal for the IPL 500 Festival Parade! The combination of this honor and being in Indianapolis to support my nephew, Emerson Newton-John, during the Firestone Indy Lights Freedom 100 race is sure to make for a wonderful weekend,” said Olivia Newton-John. Olivia Newton-John is a four-time Grammy award winner who has amassed five No. 1 singles and 10 Top Ten Billboard Hot 100 singles. With more than 100 million albums sold worldwide, her music has been successful in multiple formats including pop, country and adult contemporary. She co-starred with John Travolta in the most successful movie musical in history, Grease, which featured one of the most successful film soundtracks in Hollywood history. She recently released her first book, LivWise: Easy Recipes For A Healthy, Happy Life, with all of her royalties benefitting the Olivia Newton-John Cancer and Wellness Centre. Since surviving breast cancer in 1992, Newton-John has been an advocate for health awareness becoming involved with various charities, health products and fundraising efforts. More than 300,000 spectators are expected to line the two-mile parade route to see the 33 starting drivers of the 2012 Indianapolis 500, more than 80 specialty units, floats, marching bands and giant inflatable balloons. Tickets to the IPL 500 Festival Parade are available at the 500 Festival Ticket Office weekdays from 8:30 a.m. – 7 p.m. Tickets can also be purchased by calling (317) 614-6400. Reserved bleacher seats are $14.50; reserved chair seats $19 and reserved VIP/TV Zone seats are $32. For more information, visit www.500festival.com. For bleacher locations click here.